The Phonetic Research Lab of Institue of Linguistics has more than 60 years history. 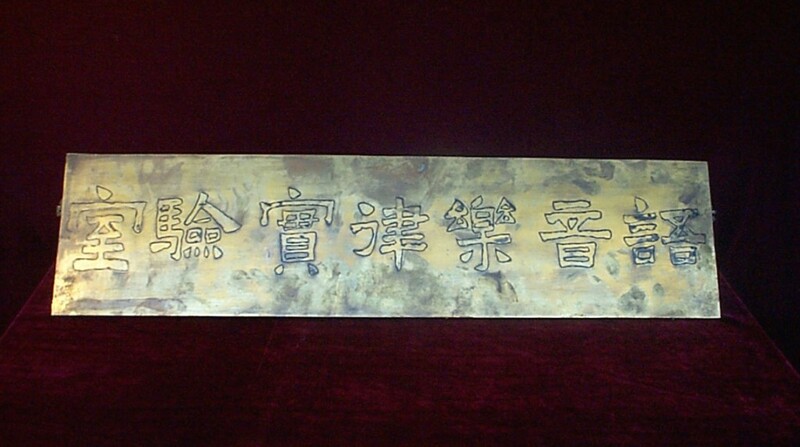 Its predecessor was the Phonetic and Temperament Lab of Institue of Libral Arts of Peking University. In the year 1950, when the Institue of Linguistics of Chinese Academy of Science was established, based on the Phonetic and Temperament Lab, a phonetic research group emerged. The development of Phoentic Research Lab can be mainly divided into three stages. First stage (1950 — 1977). 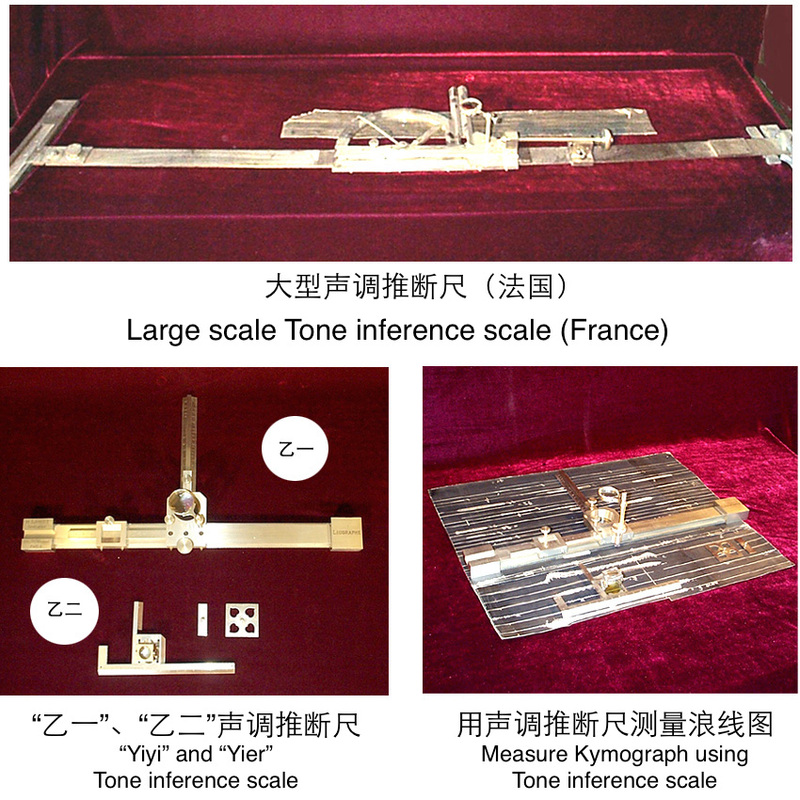 During that period, our lab had phonetic equipments such as Kymograph, tone inference scales of “Yiyi” and “Yier”, tuning forks, pitch tube by degrees, and wire recorder. 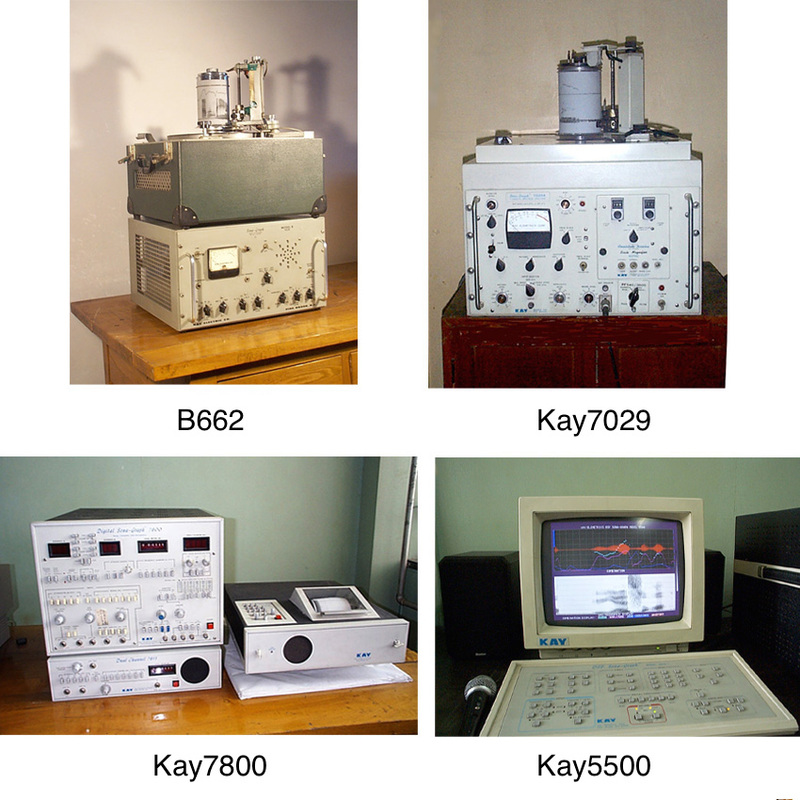 In late 50s, equipments like acoustic analyzer, oscillograph and sonagraph were added to our lab and the study of acoustic features of consonants and vowels of Standard Chinese began. In the meantime, the palatograph device was designed and made. 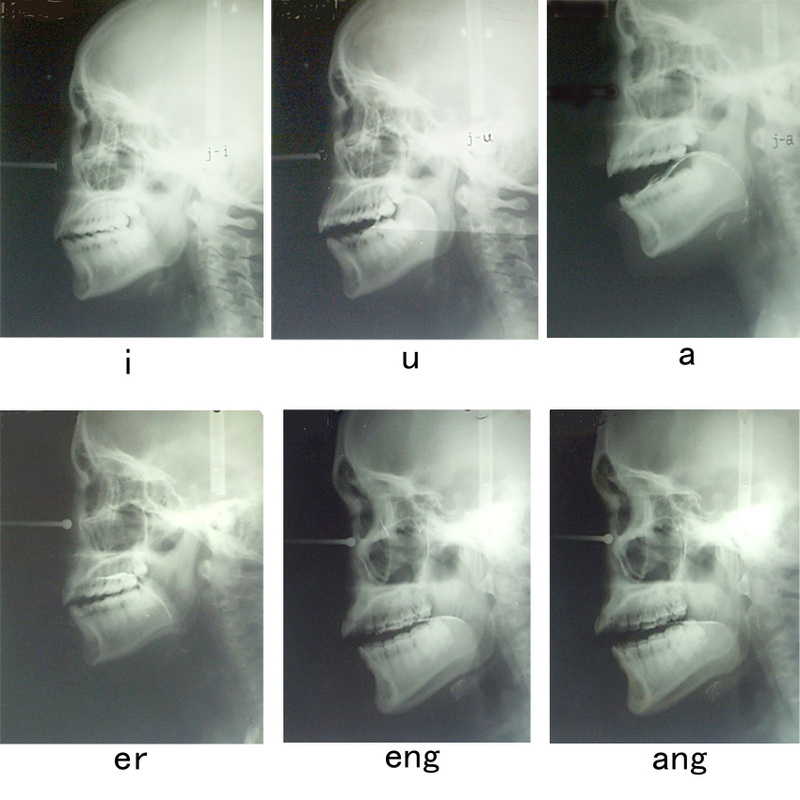 Together with X-ray photography, systematic analysis and description of physiological features of consonants and vowels became possible. In addition, in order to study tones of Standard Chinese, pitchmeters were designed. In this stage, our lab focused on research of the acoustic and physiological features of isolated phonetic units. The five volumes of Experimental Study of Phonetics in Standard Chinese were finished, and the Phonation Diagram of Standard Chinese (ZHOU Dianfu, WU Zongji) was published. Second stage (1978 — 1998). In the year of 1978, the Phonetic Lab of Institute of Linguistics of Chinese Academy of Social Sciences was established. Our lab further expanded and supplemented both research people and equipments. We purchased new sonagraph instrument and computers, and performed systematic analysis on dynamic features of sounds. In the meantime, we also started to do physiological-based and acoustic-parameter-based speech synthesis research. Achievements were published in books such as The Outline of Experimental Phonetics (WU Zongji, LIN Maocan), Summary of Morden Chinese Speech (WU Zhongji), Linguistic research collection of WU Zongji (WU Zongji), Acoustic-Phonetic-Based Speech Synthesis Technology of Standard Chinese (YANG Shunan), Speech Chain (CAO Jianfen, REN Hongmo), Explore of Morden Phonetic Research (CAO Jianfen), and the annual Phonetic Research Report, and many journal papers. Third stage (1999 — 2010). After 1998, with the rapid development of the storage and computing ability of computers, as well as the mature of phonetic analysis software (e.g. xwave, Praat), construction and research of large scale corpus became possible. At this stage, our lab built large amount of speech resources, developed phonetic annotating system, such as C-ToBI and SAMPA-C, that are suitable for phonetic annotation of Chinese Speech. Based on above efforts, we performed a series of language prosody rhyme research focusing on speech technology applications. In addition, our lab started to do research on physiological phonation pattern and phonation mechanism based on EMA, EGG and EPG. Moreover, we also started the construction of child language cognitive lab, and related research was conducted. In recent years, our lab has leaded and taken part in many projects including 8 National Social Science Foundation of China (NSSFC) projects (3 among them are key projects), 4 National Science Foundation of China (NSFC) Projects, 4 National 863 projects, 1 National 973 projects, 1 985 cooperation project of the Ministry of Education, and 6 CASS projects (1 is important project, 2 are key projects). In addition, we developed cooperative research with 5 international research centers (MOTOROLA, NOKIA, TOSHIBA, IBM, ATR), and build cooperating lab with USTC iflytek. In the year of 2011, the Phelospgy and Social Science Innocation Programme of Chinese Academy of Social Sciences was set in motion, and the Laboratory of Phonetics and Speech Science is established as a member of the first round of pilot associations.